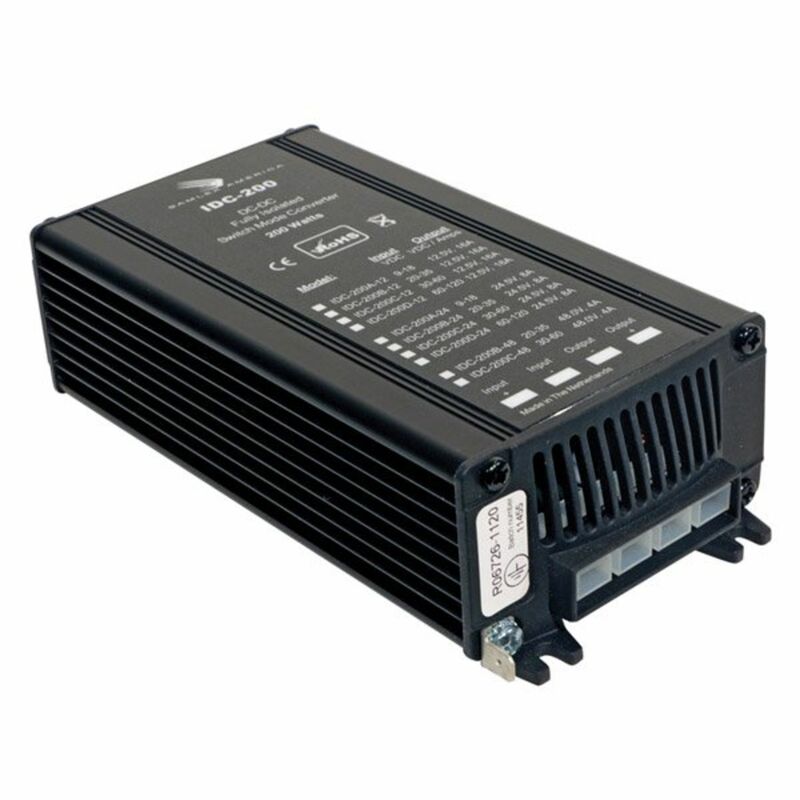 The IDC-200B-24 DC to DC converter conveniently allows you to run 24 volt DC accessories on your 20-35 volt Battery Pack. This simple to use device offers an advantage over other setups, as it will help keep your battery pack in balance, thus contributing to your batteries health. The input voltage is infinitley, automatically adjustable within the range of 20-35 volts DC. Do you own the IDC-200B-24? Please, tell us what you think about it. It helps us provide you with better products. Please note that it may take up to 72 hours for your review to appear.